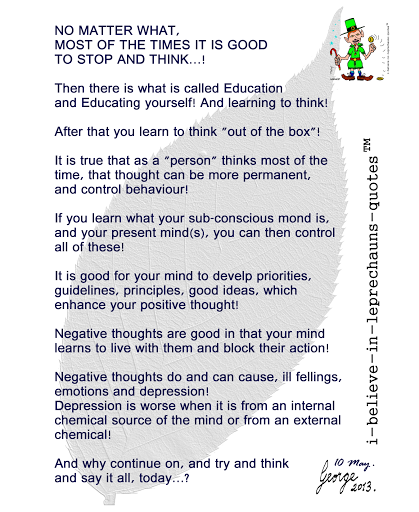 …i-believe-in-leprechauns-quotes 10 May 2013 – thoughts…! After that you learn to think “out of the box”! and say it all, today…? ← …a mini-cuba and china repression in Canada! You would think they are more intelligent!